Improving educational outcomes is a nearly universal goal, but how to achieve it remains a focus of continuing research and debate. The success of any student is influenced by many variables. Academic studies have investigated several of them, from socioeconomic background to internal motivation to the influence of different teaching styles. 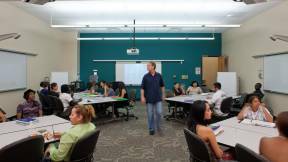 Still often overlooked or underemphasized is the role of classroom design. Noteworthy studies have been completed in recent years that show factors in the built environment can affect retention, attention, motivation, learning and academic achievement, but there have not been reliable post-occupancy evaluations of how different classroom designs affect student success. 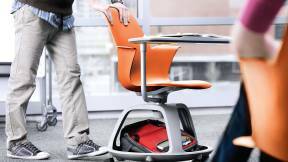 To address this important gap, a team of Steelcase Education researchers, in collaboration with academic researchers in Canada and the United States, recently completed studies at four U.S. universities. A robust survey instrument, titled the Active Learning Post Occupancy Evaluation (AL-POE) tool, was developed specifically for measuring the impact of classroom design on student engagement. Engagement is widely recognized as a highly probable predictor of student success. Comparisons between old and new classrooms were statistically significant on all 12 measured factors for both instructors and learners (p<0.001). The results of the beta study and the following term’s aggregated data revealed that classrooms intentionally designed to support active learning increased student engagement on multiple measures as compared to traditional (i.e., rowby- column seating) classrooms. Sociological and environment behavioral research has established the impact of built environments on various behaviors: territoriality, crowding, situational and personal space. More recently researchers have explored how a learning environment impacts students. 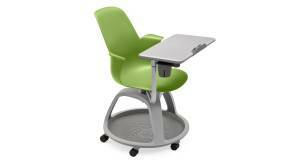 The consensus is that learning spaces have physical, social and psychological effects. 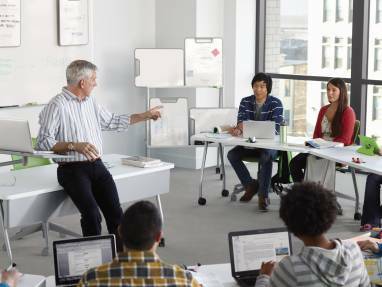 The Steelcase Education research program was undertaken to build upon and contribute to this growing body of evidence that the learning environment impacts students’ success and engagement is a key predicting factor. The research was designed to analyze student engagement across multiple measures by asking participants to compare their experiences in a traditional /standard classroom with row-by-column seating (“pre/old”) (See Figure 1: Standard Classroom) to what they experienced in a classroom intentionally designed for active learning—i.e., where physical space supports a focus on engaging experiences for students and faculty (“post/new”). 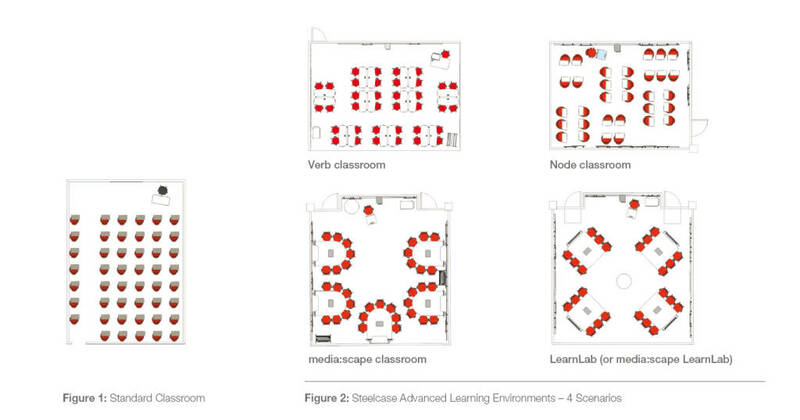 (See Figure 2: Steelcase Advanced Learning Environments) (The AL-POE instrument showed these figures to orient the participant.) 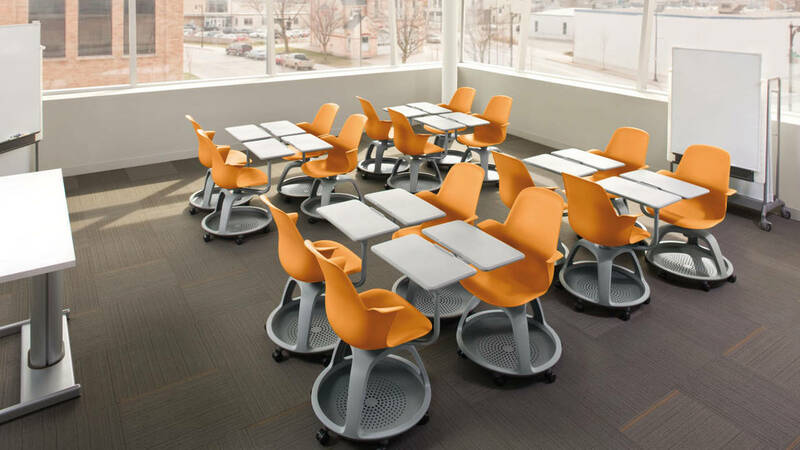 The active learning classrooms were furnished with Steelcase’s advanced innovative products and applications for active learning settings: Node® seating (See Figure 3), Verb®, media:scape® and LearnLab™. 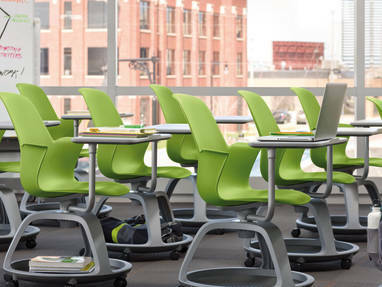 To determine a relationship between classroom design and the behavioral factors of student engagement, participating faculty members did not receive training from Steelcase on active learning practices. The settings were simply provided for their use as they saw fit. Using a two-step decision-making research method, student and faculty participants simultaneously evaluated their experience in the active learning setting and their previous experience in the traditional classroom; specifically they compared the “pre/old” and “post/new” settings for each metric. Knowing that a robust and reliable tool is key to meaningful, consistent measurement, the research team used a rigorous content analysis process to create the AL-POE questions, synthesizing information from multiple resources including the 2012 National Survey of Student Engagement and published studies in brain science, brain-compatible classrooms, learning research and the impact of classroom design. The external institutional review board, Heartland, reviewed and approved the study’s research protocol. 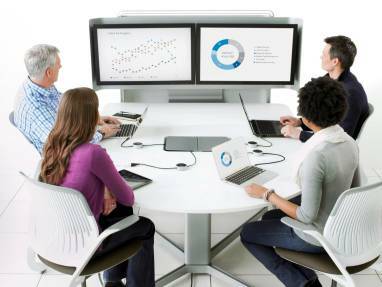 To ensure adherence to the standards of academic research, the Steelcase team worked with third-parties: IRB research review protocol, researchers and a statistician to analyze and report results. Another set of questions uses a five-point Likert scale to determine perceptions of grades, retention, overall engagement and ability to be creative. Open-ended comments are solicited as a final component of the survey tool. Respondents completed the survey online approximately 6-8 weeks into the term so they had enough time to establish a rhythm of using the space. 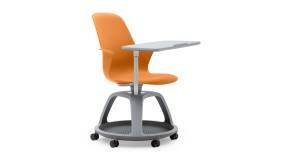 To ensure adherence to the standards of academic research, the Steelcase Education team worked with third parties: IRB research protocol review, academic researchers and a statistician to analyze and report results. 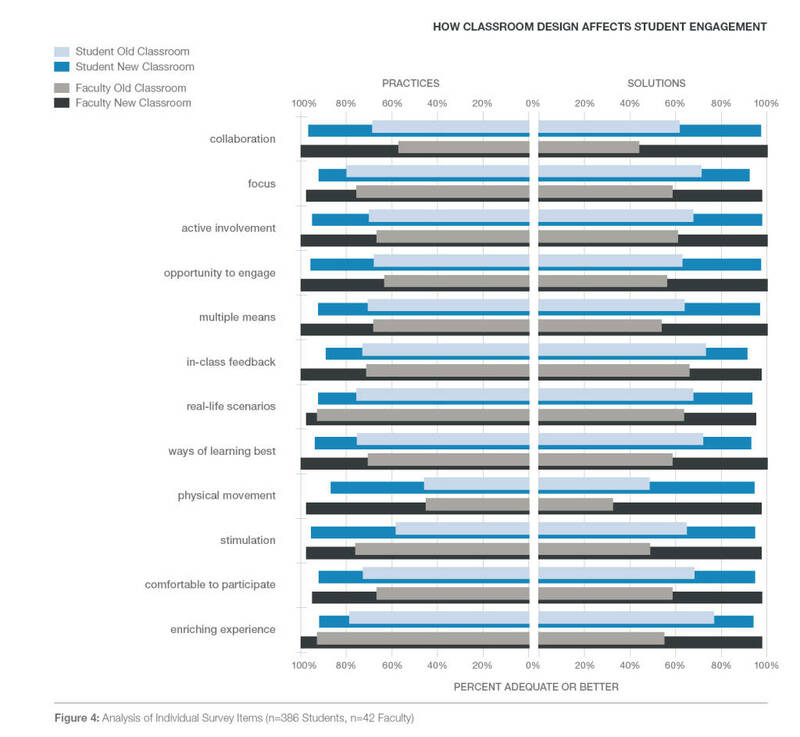 RESULTS: ACTIVE LEARNING CLASSROOMS HAVE A POSITIVE IMPACT ON STUDENT ENGAGEMENT. 1) In the universities studied, participants reported that the new classrooms improved active learning practices and had more positive impact on engagement compared to the old classrooms. There were no significant differences in results among participating universities, strengthening the applicability of the findings. As a result of the development of the evaluation instrument and this managed research program, decision makers at educational institutions, architects and designers can be assured that investments in solutions intentionally designed to support active learning can create more effective classrooms and higher student engagement. Furthermore, there’s now evidence that these classrooms encourage and enable educators to practice active learning methods. Faculty development is still recommended to understand how to leverage the space as a tool for learning. The study also underscores the importance of designing products for educational environments based on insights from rigorous research. All the products used in the new/post classrooms were developed from Steelcase’s human-centered research process methodology, and this study validates that the evidence-based design protocol helps produce measurable results in use. The Steelcase AL-POE tool developed for this study can now be used to reliably measure the impact of engagement in learning environments, adding to the body of knowledge about the relationship and implications of student engagement and spaces for learning. Initial findings from the study have been published in Planning for Higher Education, a peer-reviewed journal produced by the Society for College and University Planning. 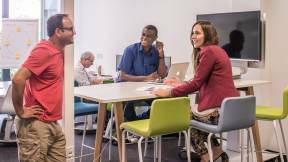 Steelcase is continuing this managed research project to build data and gain new insights into how educational environments can be designed and equipped to optimize learning. Altman, I. (1970). Territorial behavior in humans. An analysis of the concept. In Spatial behavior of older people. Herausgegeben von Leon Pastalan und Dan Carson. MI: The University of Michigan. 1-24. Altman, I. (1975). The environment and social behavior. CA: Wadsworth. Appleton, J., Christenson, S., & Furlong, M. (2008). Student engagement with school: critical conceptual and methodological issues of the construct. Psychology in the Schools, 45(5), 369-386. Blincoe, J. (2008). The age and condition of Texas high schools as related to student academic achievement. (Doktorarbeit). Entnommen aus ProQuest. (AAT 3341554). Durán-Narucki, V. (2008). School building condition, school attendance and academic achievement in New York City public schools: A mediation model. Journal of Environmental Psychology, 28, 278-286. Earthman, G. I. (2004). Prioritization of 31 criteria for school building adequacy. Baltimore, MD: American Civil Liberties Union Foundation of Maryland. Erlauer, L (2003). The brain compatible classroom: Using what we know about learning to improve teaching. Alexandria, VA: Association for Supervision and Curriculum Development. Gadermann, A.M., Guhn, M. and Zumbo, B.D. (2012). Estimating ordinal reliability for Likert-type and ordinal item response data: A conceptual, empirical, and practical guide. Practical Assessment, Research and Evaluation, 17(3). Entnommen am 25. Sep. 2012 aus http://pareonline.net/pdf/v17n3.pdf. Hall, E.T. (1966). The hidden dimension. NY: Doubleday Press. Hiebert, B. (2012). Post-Pre Assessment: An innovative way for documenting client change. Guidance Perspectives Around the World. Verfügbar unter: http://iaevg.org/crc/resources. cfm?subcat=200,202&lang=en [Aufgerufen am 26. Oktober 2013]. Jankowska, M (2007). 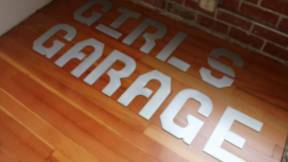 Use of creative space in enhancing students’ engagement. 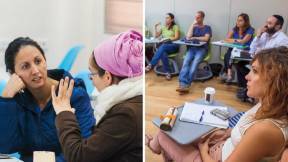 Innovations in Educations and Teaching International. 45(3), 271-279. Jensen, E (2005). Teaching with the brain in mind, 2nd edition. Alexandria, VA: Association for Supervision and Curriculum Development. Kahu, E, (2011), Framing student engagement in higher education. Studies in Higher Education, DOI: 10.1080/03075079.2011.598505. Kumar, R., O’Malley, P. & Johnston, L.(2008) Association between physical environment of secondary schools and student problem behavior – A national study, 2000-2003. Environment and Behavior, 40(4), 455-486. National Survey of Student Engagement. (2012). Promoting student learning and institutional improvement: lessons from NSSE at 13. Bloomington, IN: Indiana University Center for Postsecondary Research. Scott-Webber, L., Strickland, A., & Kapitula, L. (2013). Built environments impact behaviors: results of an active learning postoccupancy evaluation. Planning for Higher Education, Vol, 41(5). Scott-Webber, L., Marini, M., & Abraham, J. (2000, Spring). Higher education classrooms fail to meet needs of faculty and students. Journal of Interior Design, 26(1), 16-34. Sommer, R. (1969). Personal space: The behavioral basis of design. Englewood Cliffs, NJ: Prentice Hall. Sommer, R. (1970). Studies of small group ecology. In RS Catheart & LA Samovar (Eds.) Small group communication. Dubuque, IA: Wm. C. Brown. sich feststellen, inwieweit deren Nutzer das architektonische Design annehmen. 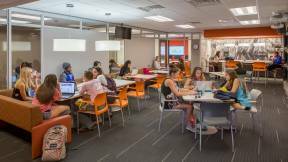 A Kansas university reimagined an existing library space to create an active, energizing campus center. In companies, schools, public institutions and universities, teachers and students battle with various challenges. Contemporary didactic methods and approaches in education are one thing – but creating and shaping the right learning environment is another.